Libertine legend Zelda Sayre just chilling in some flowers and probably wishing she was in Auburn. In 1919, five members of the Auburn football team, that year’s eventual Southern Intercollegiate Athletic Association champions, formed a secret society, a fraternity of sorts: Zeta Sigma. Initiation requirements? Just one—drive to Montgomery and score (a date) with Zelda Sayre. 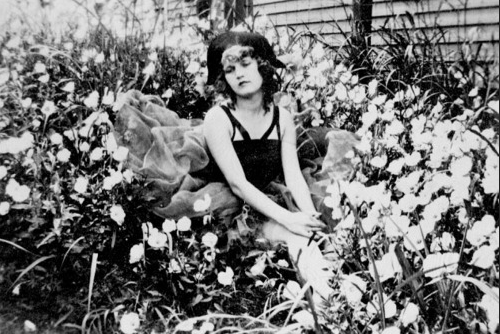 Zelda—that Zelda, future bride of F. Scott Fitzgerald… Zelda, the bob-haired beauty by which all flappers are judged (and found wanting). Zelda Road. Zelda Cigars. That Zelda. That Zelda was the youngest daughter of a prominent Montgomery judge and, by most accounts (including the letters featured in “Dear Scott, Dearest Zelda” from which we draw our quotes), was an absolute hell-raiser. Sneaking out at night. Sneaking out at day. Short skirts. Flesh-colored swimsuits. Prank calls to Auburn boys. Poppin’ corks. Breakin’ bottles. Takin’ names. Before Scott snagged her with promises of fame and fortune, most of her time was spent not with women but with men and a lot of those men were Auburn men. Sure, she did her thing in Tuscaloosa, Marion, and other college towns, too, but she mostly did it in Auburn. It was closer. And her older brother Anthony was a student, at least for a little while (he supposedly spent more time playing poker than studying and “was fonder of hazing the freshman than his ΣΑΕ brothers though acceptable,” whatever that might mean…). And the Pi K.A. lily pond, according to legend, was apparently perfect for skinny dipping. The Great Gatsby? More like the Great Stubbs. Dude won the Southern Intercollegiate Athletic Association championship! So who were the devotees of Zeta Sigma (and “pledges of devotion” were required of them)? 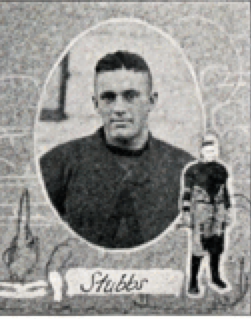 Zelda kept the Glomerata photo of star Auburn halfback Francis Stubbs in her scrapbook (knowing she spent so much time with Stubbs—in part to make Scott jealous—Scott actually had to send her a letter or two to Auburn in Stubbs’ care), so he seems a likely choice, as does his anonymous roommate who (somehow) had a life-size photo of her printed up and stashed in his and Stubbs’ room (dude apparently thought he was going to marry her right up until she tied the knot with Scott). But it wasn’t just footballers; Zelda had also apparently bewitched the entire ROTC. In 1920, she was the sponsor for the A.P.I. Regimental Adjutant Cadet Corps—everything back then had some pretty girl as a sponsor (she was the sponsor of a few football games, as well)—and her photo is included in the Glomerata accordingly. In the same letter to Scott in which she thanks him for the engagement ring he sent her, she mentions that 60 Auburn R.OT.C. cadets (she referred to them as “loves”) had come to Montgomery. In 1920, Zelda Sayre was the sponsor for the A.P.I. 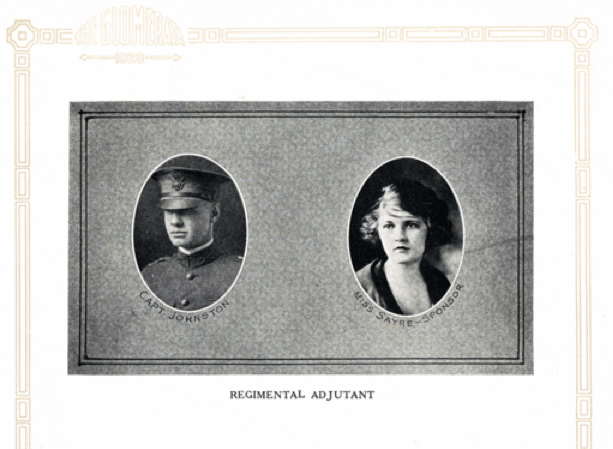 Regimental Adjutant Cadet Corps and her photo is included in the Glomerata accordingly. A month later she and a friend “drove his (her friend’s) car to Auburn and came back with ten boys to liven things up.” Indeed. Not too long after that, Zelda and Scott broke things off for a few months. Pity for him that they picked back up in October, when she had to make time for him in between football games. Marrying famous authors and alcoholism—there are only so many ways to recover from an Auburn man. Related: LSU girls love an Auburn man. Wonderful. Thank you for this. More Zelda is always welcome. Said drunk Yankee was, of course, Scott Fitzgerald. Great article. Love the closing line! I am married to an Auburn man-they are simply the best! Wow, never knew this before! Remember reading that book in high school up in the Midwest. Great stuff. Wonderful article! Especially the last line. More! More!